The aim of this thread is to show our appreciation of the official Masterpiece line! The nature of an “appreciation” thread is to be overall positive in tone. I think once you jump into the discussion here, you’ll see the trend here if lively and fun. As one of the coolest threads here, we want to keep it that way! Generally speaking, if you want to share all things officially Masterpiece, use this thread. If you want to share all things unofficially but are Masterpiece-styled, use the 3rd party thread. Since we have a dedicated forum for 3rd Party Transformers Discussion, we ask that those items primarily be focused and shared in that forum. Please use this thread, found here: 3rd Party Masterpiece Appreciation Thread. Posts not adhering to instructions stated here will simply be moved to that thread. Again, just make sure your discussion here is relatively positive and focused primarily on the official end of the Masterpiece spectrum. If anyone has any additional questions, feel free to shoot myself or another member of Staff a pm. Having said that, on to appreciating Masterpiece Transformers! WheelWave140 Hate's not cool, dudes! Now, hold your horses, I know what you're thinking " What is this gentleman insiniuating? we have a thread dedicated to the appreciation of Masterpiece Transformers, perhaps we shall discuss it over tea." No, we don't, we have a Masterpiece SPECULATION thread, that serves double time, the two need to be split, so I came to the rescue! Please share your opinions of currently released Masterpiece figures. TRUE (Toys R Us Exclusive) TC Is amazing, the deco is wonderful, the blue is spot on, and the transformation is intuitive. MP TC was my first MP and I fell in love on sight. Bought two. The shade of blue is perfect to my eye. I've since ordered soundwave and cassettes, sideswipe, have MP-10 going to ship next week and got Grimlock from a member here. I just recently got back into collecting transformers and the MP line is a big reason why. These are the transformers I'd always wanted and represent everything a transformer should be. How's that for some appreciation? 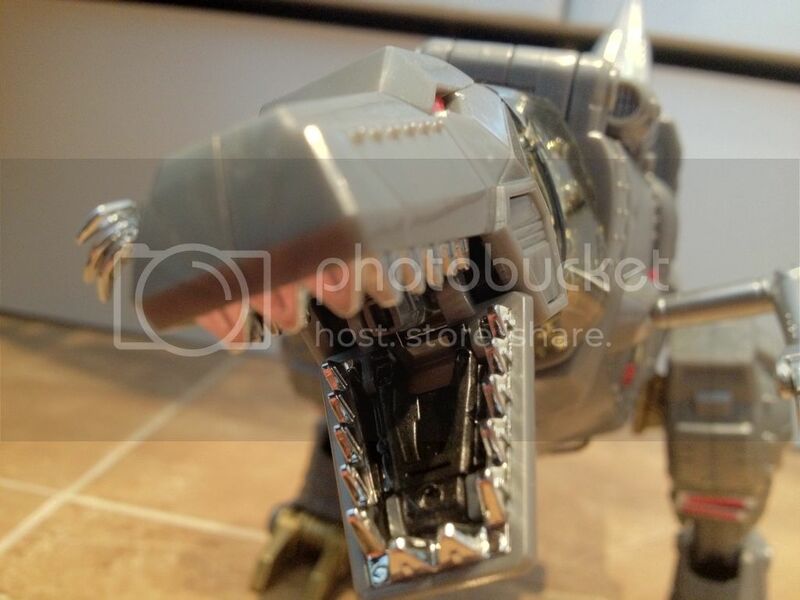 I thought the other thread was just speculation, I didn't know it had picture, I stopped going in there long time ago before soundwave and I think before sunstorm was announced... to much arguing.. I would love to see a thread with MP pictures. Wow, those are some eye-popping pics! I need to see side by side comparison pics of MP-10 vs Hasbros OP. I have Takaras but for some strange reason hasbros is also calling me! Somebody talk talk me outta Hasbros!! Why talk you out of it? One for Bot mode one for Truck mode. What are the sizes for each of the mp figures? They in good scale? I can't help talking ya out of that one my friend. This is one of the very few instances that, in my opinion, Hasbro trumps Takara. The colors just seem better to me. I sold my MP-10 once I seen how nice Hasbro did with the paint deco. *Gulps*! You sold your MP-10!? Idk if I cld do that. I trust what your saying about the colors though. 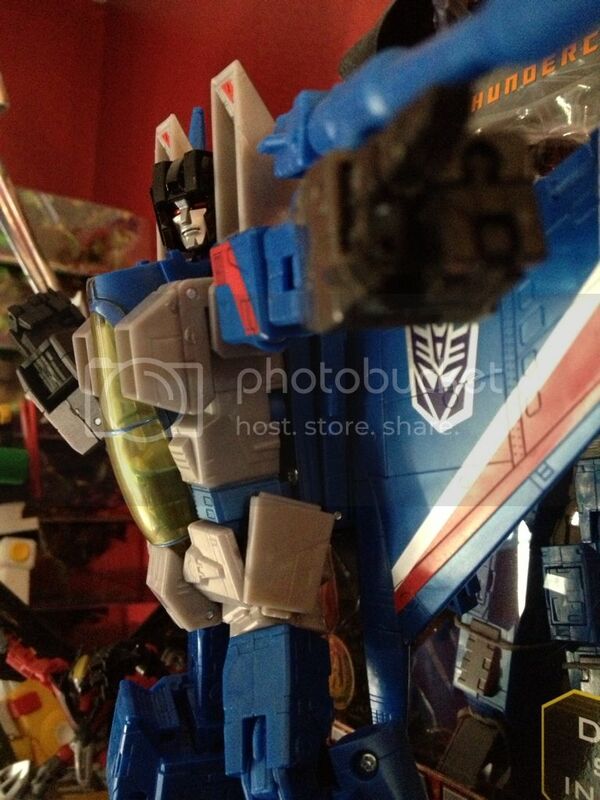 That looks like Takara MP-10 to me. Ah, thought so, just couldn't tell since neither the cab lights or eyes were visible. BTW, sure can't wait for TRU to ship out the MP10 pre-orders! Looks like such a great figure.